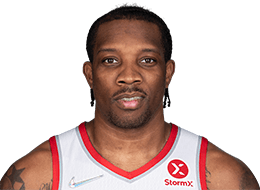 In his fifth NBA season and second with the Suns started at point guard in 81 games and posted team-highs of 17.0 points (44.7 FG%, 32.4 3FG%, 80.0 FT%), 6.1 assists, 1.6 steals and 34.6 minutes, in addition to 5.2 rebounds and 0.6 blocks… His 6.1 assists, 5.2 rebounds, 80.0 FT% and 34.6 minutes were all career-highs… Ranked 29th in NBA in scoring average, 17th in assists per game, 19th in steals per game and 19th in minutes per game… Recorded two triple-doubles—the Suns’ first since 2006-07—as well as a team-high 13 double-doubles… Scored 10+ points in 72 games, 20+ points in 26 games (had 21 such games in career entering season) and 30+ points in three games… Had nine games with double-digit assists and eight games with double-digit rebounds… Posted five games of at least 20 points and 10 assists, and five games of at least 20 points and 10 rebounds… Led the Suns in points a team-high 26 times, assists a team-high 57 times and steals a team-high 28 times, and was fourth on the team in times leading in rebounds (14) and blocks (14)… Scored in double-digits in a career-long 23 straight games from Dec. 12 – Jan. 25… Was one of just four NBA players to average at least 15.0 points, 5.0 assists, 5.0 rebounds and 1.5 steals, along with James Harden, Russell Westbrook and LeBron James, also becoming just the sixth Suns player to exceed those averages and first since Jason Kidd in 2000-01… Finished the season with over 1200 points (1377), 400 assists (493) and 400 rebounds (423), becoming just the fifth Sun to surpass those totals in a season and first since Kidd in 2000-01… At a height of 6-1, became just the third player 6-2 or shorter since 1971-72 to average at least 15 points, five assists and five rebounds in a season joining Chris Paul (2005-06, 2008-09) and Mookie Blaylock (1996-97)… Scored a career-high 34 points, with 23 coming in the first half, on 11-of-18 shooting in win at Houston on March 21… Just missed a triple-double with 28 points, a career-high 13 rebounds, nine assists and a career-high four blocks in overtime win vs. Oklahoma City on Feb. 26, becoming the only guard and just eighth player total to post at least 28/13/9/4 in a game dating back to 1985-86… Posted first career triple-double and first by a Sun since Boris Diaw in 2006-07 with 27 points, a career-high 16 assists and 11 rebounds at his former team, the L.A. Clippers on Dec. 8… Had second triple-double with 16 points, 11 assists and 10 rebounds vs. Dallas on Dec. 23 to become first Sun with multiple triple-doubles in a season since Boris Diaw in 2005-06… On four occasions (Dec. 2 vs. Indiana, Jan. 21 vs. Portland, Feb. 26 vs. Oklahoma City, March 21 at Houston) tied his career-high of 11 made field goals which he has now done seven times in his career… Made a career-high 12 free throws on 13 attempts vs. Houston on Feb. 10 and attempted a career-high 15 free throws (making 10) vs. Portland on Jan. 21… Scored then-career-high 33 points to go along with 10 rebounds and six assists vs. Portland on Jan. 21… Scored 32 points vs. Houston on Feb. 10… Twice scored the game-winning points in the final 30 seconds: At Boston on Nov. 17, finished a steal and uncontested layup with :29.5 left to give the Suns a 116-114 lead on the way to a 118-114 win and at Detroit on Nov. 19, scored on a driving layup with :28.7 left to give the Suns an 87-86 lead in an 88-86 win… Received votes for the NBA All-Defensive Team… Missed one game (Feb. 8) for the birth of his child. Scored 29 points (11-15 FG) and had six assists and season-high four steals at Dallas on Apr. 12... Tied career-high in points for second time in a week with 30, and tied career-highs in rebounds (11) and field goals (11) for second time this season at San Antonio on Apr. 11... Scored career-high 30 points (12 in fourth quarter) in win at Portland on Apr. 4... Scored 20+ points in career-long four straight games from Mar. 21-26... Had 23 points, seven assists, six rebounds and three steals in victory at Washington on Mar. 26... Scored 15 of team-high 23 points in fourth quarter of win vs. Detroit on Mar. 21... Started and had third double-double of season with 17 points and 10 boards at Boston on Mar. 14... Returned to action on Mar. 12 vs. Cleveland after missing 33 games; had 15 points and nine assists in 32 minutes off the bench... Underwent right knee arthroscopy on Jan. 10; has missed each game since Jan. 2... Had second double-double of season (first career points/rebounds) with career-high 11 boards and 16 points vs. L.A. Lakers on Dec. 23... Scored 25 points (9-12 FG, 3-4 3FG, 4-4 FT) and had team-high six assists vs. Dallas on Dec. 21... Had career-highs of 28 points and 11 field goals in addition to eight assists, five rebounds, three steals and two blocks vs. Sacramento on Dec. 13... Led team with 20 points and seven assists and made career-high three three-pointers (had made previous high of two on 17 different occasions) at Houston on Dec. 4... Scored in double-digits in 11 straight games (Oct. 30-Nov. 30), a career-long streak... Missed six games (Nov. 19-27) due to left shin contusion... Scored a team-high 25 points (10-12 FG) and made career-high 10 field goals at New Orleans on Nov. 5 to give him consecutive games of at least 25 points for the first time in his career... Recorded career-high 14 assists (previous 13 vs. Denver on Nov. 5, 2010) and almost had a career-high with 26 points at Oklahoma City on Nov. 3. Totals gave him fourth career double-double... Hit game-winning shot vs. Utah on Nov. 1: a 25-foot three-pointer with :00.9 on the clock to break a tie and give the Suns an 87-84 victory. Scored 17 of his 18 points for the game in the fourth quarter... In Suns debut, had 22 points (7-12 FG, 8-11 FT), seven boards and six assists vs. Portland on Oct. 30. 2012-13 (Clippers): Averaged 8.5 points, 3.0 rebounds, 3.1 assists and 1.43 steals in 20.4 minutes in 76 games (12 starts)... In 12 starts, averaged 14.2 points, 5.3 assists, 4.8 rebounds and 2.5 steals in 34.2 minutes... Had 31 games of 10+ points, two games of 20+ points, two games of 10+ assists and two double-doubles... Notched just 25 games of 10+ points in first two seasons combined... 2/6/13 at ORL had one of his best games as a pro, setting career-highs in points (27), field goals made (9) and free throws made (7) plus a season-high six steals in 41:14... Tallied 10 assists and six steals in a 1/30/13 win over the Timberwolves, marking the first time in Bledsoe’s career he’s had 10+ assists and 6+ steals in the same game... Notched 23 points, seven rebounds, 10 assists and two steals on 2/3/13 at BOS... Season-high nine rebounds and 11 points 1/26/13 at POR... Missed five games due to a sore left calf. 2011-12 (Clippers): Averaged 3.3 points, 1.6 rebounds, 1.7 assists in 11.6 minutes in 40 games, making 1 start ... Reached double-figures in scoring three times ... Led Clippers in steals and blocks four times ... 1/30/12 vs. Oklahoma City, made season debut, played 1:19 and went 0-of-1 from the field ... 4/9/12 at Memphis, had 11 points (4-6 FG, 1-2 3PT, 2-2 FT), 2 rebounds, 2 assists, 2 steals, 1 block in 21:05 ... 1/26/12, assigned to the Bakersfield Jam of NBA Developmental League... Played 19 minutes for Jam vs. Los Angeles D-Fenders and had 15 points, team-high 7 assists ... Underwent surgery to repair torn lateral meniscus in right knee on 10/7/11....Missed from 12/25/11 - 1/25/12 with meniscus injury ... Playoffs: Averaged 7.9 points, 2.1 assists and 2.4 rebounds while connecting on .587 FG and .429 3FG in 11 playoff games. 2010-11 (Clippers): Averaged 6.7 points, 2.8 rebounds, 3.6 assists and 22.7 minutes in 81 games (25 starts) ... Played in the T-Mobile Rookie Challenge on 2/18/11 during NBA All-Star Weekend and had 6 points, 7 rebounds, and 5 assists ... Led the Clippers with 92 steals (1.14 spg â€“36th best in NBA) ... His 289 total assists was third-highest on team at end of season ... 194 turnovers was second-most on team ... Led team in steals team-high 24 times ... Led team in assists 17 times, scoring twice ... 3/5/11 vs. Denver, scored a career-high 20 points and had a career-high seven stealsâ€¦the seven steals were the most by a Clippers player in a game since Cuttino Mobley had seven on 11/19/08 ... Became the 9th player in 2010-11 to record seven or more steals in a game ... 4/9/11 at Houston, Suspended for violating team rules. Played one season (2009-10) at Kentucky and averaged 11.3 points, 3.1 rebounds and 2.9 assists in 37 games (35 starts) to help the Wildcats to a 35-3 record and Elite Eight appearance… Named to the Sporting News SEC All-Freshman Team and was a CollegeInsider.com Freshman All-American… Scored in double digits 20 times, including four games with at least 20 points… In four NCAA tournament games, averaged 15.3 points and shot .588 FG% and .474 3FG%... Set a Kentucky school record of eight made 3-pointers in an NCAA tournament game against East Tennessee State in scoring a career-high 29 points (9-11 FG, 8-9 3FG).